People love and sometimes hate the Bing Maps satellite aerial image functionality inside AutoCAD Civil 3D and all AutoCAD based apps. Perhaps a lot of you just ignore the whole public image thing? The better view of the big picture context can and does help us get our civil engineering design and survey work done a bit quicker. These days we have more choices. The imagery choices are getting better and better. I trust you didn’t miss the recent Autodesk ReCap Photo release and those more powerful and less expensive ways to put the latest drone and cloud technology to work for you on your next project. See The New Autodesk ReCap Photo Cloud post. The publically available satellite imagery does get better over time, but it still is not yet the same quality as rigorously gathered and processed aerial photogrammetry. You may be able to get to that level of detail and employ that in your project drawings in a fashion that works much like Bing Maps. You may have a regional or local agency that publishes their aerial photo imagery via a WMS Server. If you can get access to that, those resources can update the local background image detail considerably. You can search on the web for a local or regional WNS server(s), but often a phone call or two the regional or local GIS office or department will help you find out if a WMS Image Server in available for your project location. In other words, these days the server maybe out there, but not publically advertised or all that easy to find. People also get confused – an ESRI ArcGIS MapServer resource is not a WMS image Server resource. To be clear aerial imagery delivered via a WMS Server is not the same thing as access to a file location and the download of the raster aerial images themselves. A WMS Image Server basically takes a dynamic picture of the aerials and sends a png or perhaps a jpeg image for display inside your Civil 3D session at your current display resolution. Yes, the resolution delivered will be constrained by a maximum resolution on the WMS Server. The maximum resolution will be published in the Get Capabilities XML file request response delivered from the WMS server. Sometimes the web access to the WMS server is completely public. All you’ll need to find is a web location via an http or https address. More often than not these days, it may be available for free, but also require some sort of site registration to identify who you are, some reasonable purpose, and a login to gain access. The USGS WMS site(s) is one such example. AutoCAD Civil 3D and Map 3D will recognize raster file-based references and display aerial TIFFs in the correct location with access to the supporting world geo-reference files. The raster file attachments are created and managed in the Reference Manager. Civil 3D and Map 3D may also employ FDO (Feature Data Object) Data Connections to display various types of raster data. Both file-based connections (FDO Raster) and streamed server based resources (FDO WMS) based raster are supported. FDO Data Connections are a Map 3D functionality included in Civil 3D. The drawing should be setup in a coordinate system. The MAPWSPACE command turns On and Off the Map Task Pane. There are 3 three FDO connection types you may need. You may be able to download a SHP resource to visualize the downloadable raster images in context. Published DWFs of aerial images are the easy way to produce aerials for use in standard AutoCAD or AutoCAD LT. The DWF published from Model space should be created in a Map 3D or Civil 3D drawing with an assigned coordinate system. AutoCAD will display attached DWFs that include aerial images produced from either referenced images or WMS Server images. 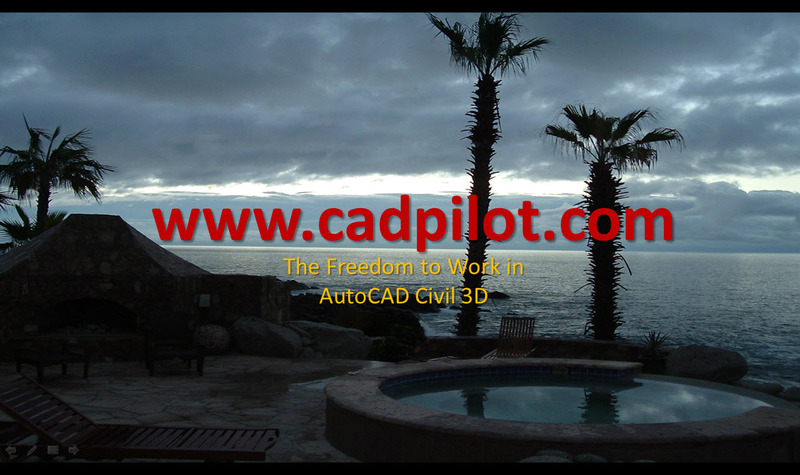 Aerial raster images can be attached as background reference can be added into any version of AutoCAD. AutoCAD will recognize raster references and display aerial TIFFs in the correct location only with access to the supporting world geo-reference files. The file attachments are created and managed in the Reference Manager. Needless to say, if you have Autodesk Raster Design installed you already have all of this aerial imagery in AutoCAD brewhaha licked.